SMOK TFV12 Cloud Beast King Sub-Ohm Tank Review: Long Live the King! As the citizens of Pompeii said to each other on that fateful day when Mt. Etna started to rumble: “This is going to be big!” I think the product designers over at SMOKTech also had that catastrophic event in mind as the best way to manifest the awesome power of this tank visually since they slapped a picture of an erupting volcano onto the SMOK TFV12 Cloud Beast King box. Oh, SMOKTech, I had written you off entirely after the disaster that was the Cube II X. Its battery cover never wanted to stay on, and its LED light was more annoying than illuminating. But let the record show that I have always been a devotee of SMOK tanks like the Big Baby, and the previous incarnation of the TFV line, the SMOK TFV8. I just can’t understand why the brilliance and audacity that SMOKTech puts into its tank doesn’t also get put into its box mods and vape pens. Although to be fair, the ProColor was a box mod that I could get behind. A 6ml tank capacity BAM! Three coils options included in the kit BAM! Well, maybe this section should be called Second Impressions. I mean, 12-coils! Who does that?! Apparently, the Chinese. The SMOK TFV12 is incredibly tall at 70mm, and the rest of the dimensions are gigantic, but funnily enough, each part has different measurements. The atomizer base that you screw onto your box mod is 25mm, but the diameter of the glass tube is closer to 27mm. And the width of the top cap is a beefy 28mm. So this tank is not uniform, which means particular attention was paid to each piece individually, but the finished product still works together as a unit. This kind of design strategy denotes an impressive concentration of detail and manufacturing quality. At the bottom of the tank, you have your standard gold-plated 510 connector pin. Above that, there are two very wide airflow vents that turn all the way around, and however far you turn one slot, the slot on the other side follows, so it’s always equal. Both the atomizer base and the top cap are incredibly well-threaded, with thick threads that make unscrewing them so comfortable. The chimney on the pre-installed V12-T12 coil has six juice portholes; the V12- shaped like lightning bolts, which was cool to see. Underneath the Delrin mouthpiece is a broad vapor shaft that is also made of stainless steel. And one thing I liked about the top cap, which gets removed in the same way that most of SMOK’s top cap’s get removed – by sliding them off – but is then locked into place, by pushing it back into the groove. Now, as much as I liked the performance of SMOK’s other tanks, I have had problems with leakage before, so I hope that doesn’t bring me down from my high (my high referring to how excited I am about testing out this tank, and nothing else). Getting to the pre-installed V12-T12 coil, it looked like the inside of an old-school .38 special revolver, with six chambers organized in a circle. But, keep in mind that even though there are only six chambers, each chamber has two parallel build coils, so that’s why it ultimately comes out to 12. All of the coils are wicked with organic cotton and feature Clapton coils, but the V12-Q4 features a single coil; a single coil, mind you, that is insanely wide and features a parallel build. The three coil options are what comes with the standard SMOK TFV12 kit, but there is also an RBA edition that features the V12-T12 and two rebuildable decks. Some things we know right away. The SMOK TFV12 is a sub-ohm tank, and the V12-T12, despite the twelve coils, and organic cotton wicks, even combined with the stainless steel vapor path, might not give off the best flavor profile. What you will be getting are volcano-eruption style clouds that will blanket most of the Earth and ground all air traffic. With that said, cloud-chasers and other veteran vapers are going to love the V12-T12. For those of us who prefer a little more flavor with our vapor (yours truly, included) the other coil options might be your best bet. The recommended vaping range on the V12-T12 goes as high as 350W. 350W!! Some laptop computers consume the same amount of energy and think about all that laptops do; with the V12-T12 all you’re doing is making vapor. But, hey, to each his own. So, vaping with the V12-T12 didn’t give me any surprises: huge clouds, effortless draws, airflow vents wide open, and not such a great flavor profile. What you are tasting is the glycerin and some lesser notes of the flavoring, depending on what kind of juice your vaping. I went with some Halo Belgian Cocoa with no nicotine content because the way these coils vape I imagine any nicotine would be so diffuse as to cause an instant seizure (kidding). I did get those bittersweet, chocolatey hits, but when I switched over to the V12-X4 or Q4, the clouds were great, but the flavor was much more present. Even though you might be tempted to go further than the recommended range, I found that staying within the recommended range on the two quadruple coil options, which is between 90-160W in total (they each have more specific ranges) still resulted in a great-tasting vapor. And those wattage ranges are where most box mods, save for a mech mod or something like the Wismec Reuleaux 300X or even SMOK’s own GX, can get concerning wattage range. There are just so many great sub-ohm tanks banging around out there. The TFV12 tries to best them all, although it doesn’t succeed; well, in some ways it does, in others, it doesn’t. But I immediately thought of another member of the sub-ohm tank royal family, the Uwell Crown sub-ohm tank when it came time to play the comparison game. Sure, the SMOK TFV12 has three coil options, but so does the Crown, one of them being a temperature control option, a Nichrome coil, along with two sub-ohm coils. The TFV12 obviously has the bigger tank capacity, and you’re going to need it since it is an efficient e-juice killer. The Crown has a decent 4ml capacity and is slimmer than the SMOK TFV12 and has an ergonomic design that is easy to grip, which is something that the TFV12 also has, ugh, this is going to be a tough one. So in the end, it comes down to performance. Based solely, on personal preference, I would have to give it to the Crown, as a whole, for the different coil options. The tank obviously doesn’t produce the power, but it supposedly takes it. I wasn’t able to vape to the max with the V12-T12 because I don’t even have a mod that goes beyond 200W, but even at that range, I was impressed with the performance of all three coils. This might not be the most quantifiable measurement but I appreciated the fact SMOK took such a huge gamble, (12-coils!) and based solely on the merits of pushing the envelope, I think that was something to be highlighted. By versatility I mean the different coil options, and how with each of the three you can get a very satisfying vape experience whether you are a cloud or a flavor chaser. Here I go again, listing a pro as a con as well, but I’m just like that, I like to consider both sides of the story. And while I admired the audacity of SMOKTech to create such a powerful coil, at the same time I was put off by the sheer magnitude of the thing that I would even dare get close to 350W. Or would I? The SMOK TFV12 is in a class by itself. It has an enormous tank capacity; it is well-machined with tiny details like the knurling and extra-thick O-Rings that support the larger picture, and of course, the star of the show is the twelve-headed beast that henceforth shall be known as Coilatron. The TFV12 won’t disappoint cloud or flavor-heads; it has something for everyone, and that is definitely something worth applauding. SMOK could have gone in one direction and headed straight for cloud city, but they didn’t. I give the SMOK TFV12 a bodacious 9/10. 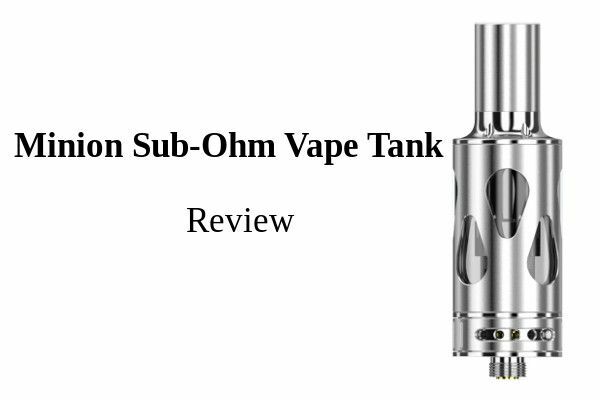 Looking for the best sub-Ohm vape tank for e-cigs? Read our review of the Mig Vapor Minion vape tank for its ranking! ThMig Vapor Brain Fogger: A high-quality vape tank at an extremely affordable price. It has a capacity of 4 mL weighs only 78.3 g.
Horrible! I only bought the TFV12 back in June and it constantly leaks! Don’t bother trying to contact Smok for help because they gave me the run around back and forth through email for weeks. Waste of money! I will never buy another Smok product again.